Do You Have to Boil Spinach to Get Its Nutrients? At 49 mg per ½ cup serving, broccoli is a great source of vitamin C. That is, unless you destroy it while cooking. As a water soluble vitamin, the more contact vitamin C has with high temperatures and boiling water, the greater the chance you will lose its health benefits during the cooking process. 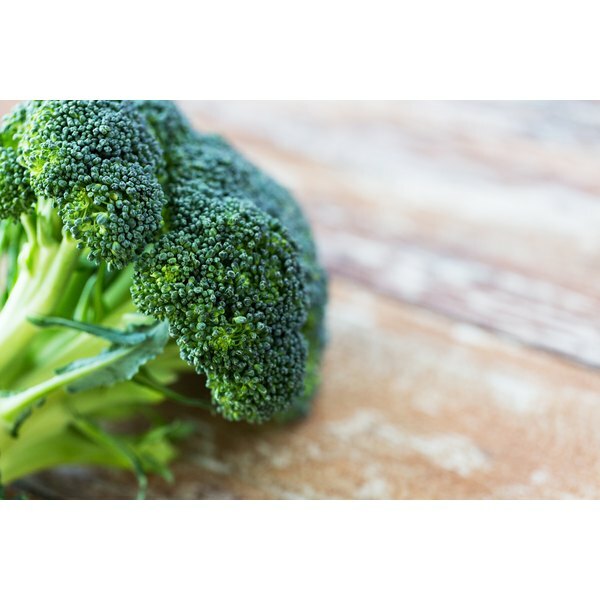 Blanching is a way to partially cook broccoli, while preserving both its flavor and health benefits. Blanching is essential when you plan on freezing fresh broccoli. Cut off the thick, woody stem of each broccoli bunch with a sharp kitchen knife. Separate each stalk into individual florets, and slice large florets in half lengthwise so no floret is more than 1 1/2 inches wide. Wash the florets in a colander under cold running water. Fill an 8- to 10-qt. pot 2/3 full with water and bring the water to a full boil on your stove top. Add the broccoli florets, cover the pot and set a kitchen timer for four minutes. Remove the broccoli florets from the pot with a large slotted spoon if you will be reusing the water or empty the broccoli into a colander to drain. Serve hot or cool to continue to process for storage. Empty the broccoli into a large bowl of ice water to cool for five minutes if you intend to freeze or store the broccoli in your refrigerator. If you plan to freeze or refrigerate the broccoli, remove the cooled broccoli from the cold water with a slotted spoon and pack in airtight freezer containers or plastic food bags, squeezing as much air from the container as you can. Freeze broccoli for up to one year or store in your refrigerator for three to five days. Blanch fresh broccoli the same day you pick or purchase it from your grocer. Only blanch broccoli with firm, crisp stems and tight, bright green florets. If you are blanching fresh-picked broccoli, soak the florets in a solution of 4 tsp. salt to one gallon of water for about 30 minutes before rinsing under running water to kill any insects that may be hiding in the florets. Broccoli needs room to move within the boiling water to ensure a good blanch. Use a pot that will hold at least 5 qt. of water and blanch no more than 1 lb. of broccoli at a time.